is our inaugural bat. It is a 2 5/8 composite bat with Infinite Fiber Performance (IFP) and a Continuous Compression Barrel (CCB), as well as a 1.15 BPF. CCB means that our barrel, normally referred to as the sweet spot, is what we call the Sweet Barrel, which maintains its compression throughout the barrel. Most manufacturers have a bell-shape curve of compression, i.e. hottest in the middle and then tails-off on both sides. Our bat has uniform compression throughout our Sweet Barrel. 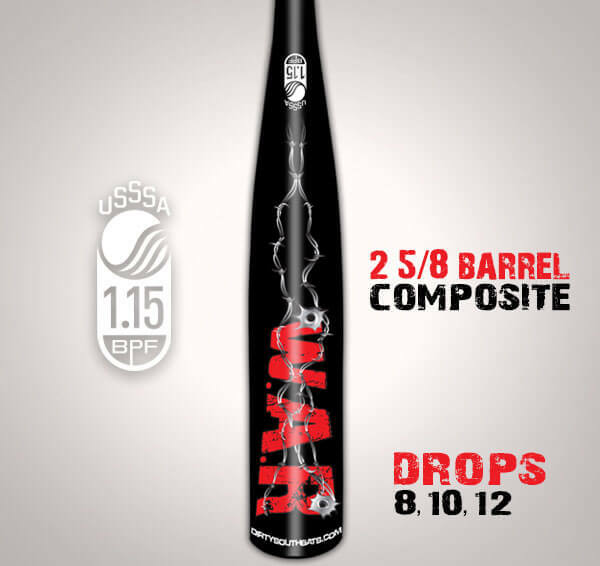 Please note that the War baseball bat in a drop 12 and drop 10 will have a smaller Sweet Barrel than our other models. Please review the barrel comparison webpage to see side by side pictures of our bats. baseball bat is our inaugural bat. It is a 2 5/8 composite bat with Infinite Fiber Performance (IFP) and a Continuous Compression Barrel (CCB), as well as a 1.15 BPF. CCB means that our barrel, normally referred to as the sweet spot, but which we call the Sweet Barrel, maintains its compression throughout the barrel. Here’s a review on YouTube. 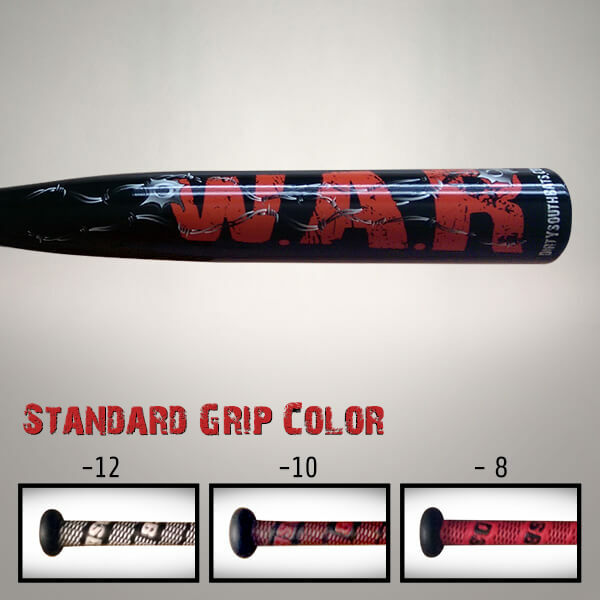 War baseball bat in a drop 12 and drop 10 will have a smaller Sweet Barrel than our other models. Want to demo our War baseball bat? You can demo one to see for yourself. Don’t believe the hype? We’ve got you right here. 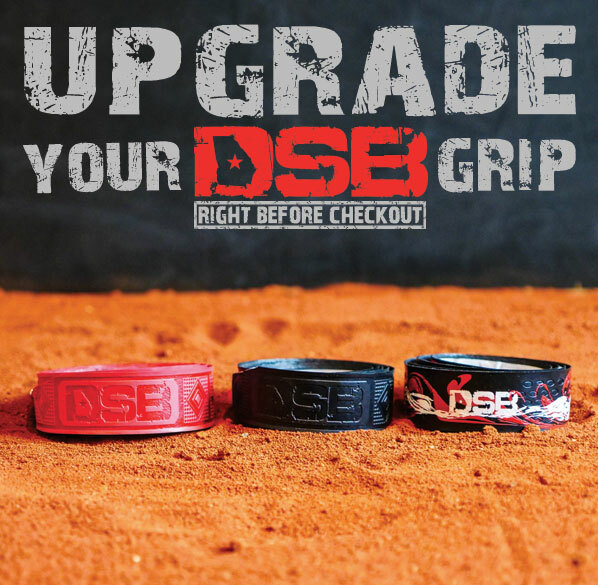 I purchased this DSB after my 10yr son used a teammate’s. Awesome bat he also uses the Easton Ghost X and he says the DSB feels way better and carries through the strike zone much smoother in all love the bat love the company will be back soon for sure!!!! It was a fantastic bat, ball flies off my bat and it feels like a true drop 8. Hit 4 home runs in 2 games and there’s more to come. Also love that it comes hot out the box it just takes adjusting to get a feel for it! Definitely can hear and see the difference when my son makes contact with the ball. Love it! AFTER MEETING THE DSB FOLKS IN WEST COVINA, I WAS SOLD ON AN AMERICAN MADE BAT AND THE PEOPLE THAT WERE MAKING THEM. WE PURCHASED THE WAR BAT. MY INTENTIONS WERE TO GET MY 8 YR. OLD THE SWAG, BUT AFTER DOING SOME RESEARCH WE WENT WITH THE MORE CONVENTIONAL BARRELL. LAST NIGHT HE HIT HIS FIRST HOMERUN. I HAVE BEEN VERY IMPRESSED! THANK YOU DSB. MY SON HAS USED THREE BATS AND THEY ARE GREAT. ON FIRE RIGHT OUT OF THE WRAPPER! NO NEED TO BREAK THEM IN. EVERY KID ON THE TEAM WANTS TO USE THE BATS AND OTHER TEAMS ARE JEALOUS. DON’T WASTE TIME WITH THE MAKO, COMBAT, ETC….HE HAS USED THEM ALL AND ONLY SWINGS DSB. GREAT BAT, AWESOME PAINT JOB, ALL THE KIDS ON THE TEAM WERE ASKING TO USE IT. 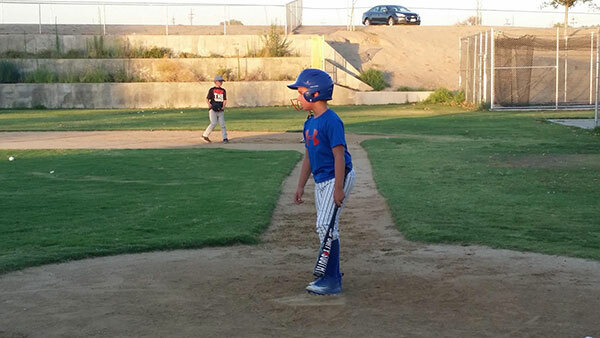 MY SON’S FIRST AT BAT WITH HIS NEW WAR BAT, HE HIT FOR A DOUBLE WITH 2 RBI’S. ACCURATE WEIGHT UNLIKE SOME OF THE OTHER BIG NAME BRANDS AND MADE IN AMERICA IS A BIG PLUS! HITTING BOMBS!!! BEST BAT ON THE MARKET BY FAR!!! THE BAT IS AMAZING!! WISH I WOULD HAVE KNOWN ABOUT THIS COMPANY SOONER! MY BOY LOVES HIS DSB AND SO DO HIS COACHES ! WE GOT THE WAR BAT FOR MY SON LAST FALL, AND PICKED UP THE SWAG THIS SPRING. BOTH BATS ARE AWESOME! THE PEOPLE AT DSB ARE GREAT TO WORK WITH….THEY PERSONALLY CALLED ME TO ANSWER ALL MY QUESTIONS (RARE). I AM VERY IMPRESSED WITH THIS COMPANY AND THEIR PRODUCTS. YOU CAN LOOK….BUT YOU WON’T FIND A BETTER BAT. MY SON LOVES HIS DSB WAR BAT. EVEN WHEN HE MISSING “HIS PITCH” THE BALL FLIES OFF THE BAT. AND WHEN GET HIT THE BIG SWEET SPOT – ITS GONE! 10U TRAVEL PLAYER ON ONE OF FLORIDA’S BEST TEAMS! MY 9 YEAR OLD HAS BEEN USING A MAKO FOR THE PAST TWO TRAVEL BALL SEASONS BUT THE BALL NEVER REALLY JUMPED OFF IT LIKE WE WERE HOPING FOR. I GOT HIM THE DIRTY SOUTH W.A.R AND I TELL YOU WHAT IT IS HOT RIGHT OUT OF THE BOX. WE WENT TO HIT WITH IT THE NIGHT WE GOT IT AND HE WAS CRUSHING THE BALL LIKE NEVER BEFORE. AT HIS FIRST PRACTICE, HE WAS HITTING THE FENCE AND ALL THE KIDS TRIED IT! NOW 3 OTHER PLAYERS HAVE ORDERED THEM. 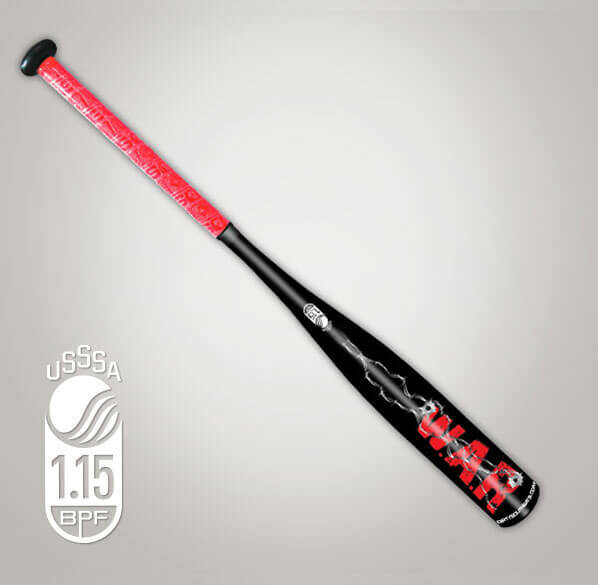 IF YOU ARE LOOKING FOR A HOT BAT THIS IS IT!! WE WILL NEVER BUY ANOTHER BRAND AS LONG AS THERE IS DIRTY SOUTH. MY SON IS A 10 YEAR OLD ON A TRAVEL BASEBALL TEAM AND TESTED THE BAT AT A BY TOURNAMENT IN VERO BEACH FL AND A FEW MONTHS LATER BOUGHT HE BOUGHT HIS OWN WAR BAT USING IS OWN ALLOWANCE AND BIRTHDAY MONEY. THIS IS THE BEST BAT I HAVEN SEEN AND PEOPLE FEAR HIM MORE NOW THAT HE HAS THIS BAT. THERE ARE ABOUT 3 VIDEOS OF HIM HITTING IN THE DIRTY SOUTH FACEBOOK PAGE GO LOOK AND JUDGE FOR YOURSELF. MY 8 YEAR OLD CLEARED 187 FEET OUT OF THE PARK HOME RUN USING HIS 29 INCH DIRTY SOUTH THIS WEEKEND! AN AMAZING 3 OUT OF THE PARK HOME RUNS THIS WEEKEND! I PURCHASED THE BAT FOR MY SON FOR CHRISTMAS SO BECAUSE HE HASN’T USED IT YET I CAN’T WRITE A REVIEW ON IT. I DID WANT TO PROVIDE SOME FEEDBACK ON THE SERIVCE I RECEIVED. I ORDERED THE WRONG SIZE BAT, EMAILED THE CUSTOMER SERVICE DEPARTMENT AFTER I RECEIVED IT AND WITHIN MINUTES SAMANTHA FROM DIRTY SOUTH CALLED ME BACK. SHE TOOK CARE OF ME, I SENT THE WRONG BAT BACK AND GOT A NEW ONE WITHIN 3 DAYS. SHE WAS VERY FRIENDLY AND HELPFUL. I’M CONFINDENT THAT IF THE BAT IS ANYTHING LIKE THE SERVICE MY SON IS GOING TO BE A VERY HAPPY BASEBALL PLAYER! THANK YOU SAMANTHA FOR EXCELLENT SERVICE. THIS BAT IS NICE AND BALANCED. I JUST GOT IT ABOUT A MONTH AGO AND I LOVE IT. THE POP IS AMAZING AND I HIT 1 HOME RUN AND A DOUBLE TODAY IN MY GAME. YOU SHOULD DEFINITELY BUY THIS BAT BECAUSE IT IS WORTH THE PRICE!! FIRST I HAVE TO TELL YOU HOW GREAT THERE CUSTOMER SERVICE IS. I BOUGHT MY SON (11 YEARS OLD) THE 30/18 AT A TOURNAMENT IN VERO BEACH, FL. (HE LIKED IT) THAN WE DEMOED A 30/20 THAT HE LOVED. (YES DIRTY SOUTH ALLOWS YOU TO SWING ANY BAT YOU WANT FOR A COMPLETE TOURNAMENT, AND THEY EVEN HAVE A 15 DAY MONEY BACK GUARANTEE I DON’T SEE THE “BIG” COMPANIES DOING THAT) SO THE FOLLOWING WEEK WE DECIDED TO GET HIM A 30/20, DIRTY SOUTH ALLOWED ME TO JUST EXCHANGE IT AT THE TOURNAMENT, SO I DIDN’T HAVE TO RETURN IT AND WAIT FOR THEM TO SEND A BAT BACK TO ME. WHEN I GOT HOME I REALIZED THE GRIP HAS A RIP IN SO I CALLED THEM AND SPOKE WITH SAMANTHA SHE SAID I REMEMBER SPEAKING WITH YOU, YOUR THE GUY WHO WANTED TO EXCHANGE YOUR SONS BAT. (WOW CUSTOMER SERVICE WHO CARES) SO BACK TO THE GRIP SHE SAID NO PROBLEM AND SENT ME OUT A NEW GRIP NO QUESTIONS ASKED. NOW TO THAT BAT RIGHT OUT OF THE BOX THE BAT WAS HOT HUGE SWEET SPOT, BALLS EVEN POPPED OFF THE END OF THE BARREL. NO GIMMICKS OR HYPE LIKE OTHER COMPANIES. MY SON HIT OVER 500 IN 8 GAMES, EVEN HIS OUTS WERE HARD HIT BALLS. THIS IS ONE OF THE FIRST BATS I’VE SEEN GAME READY (NO 100-200 SWINGS TO “BREAK IT IN”). 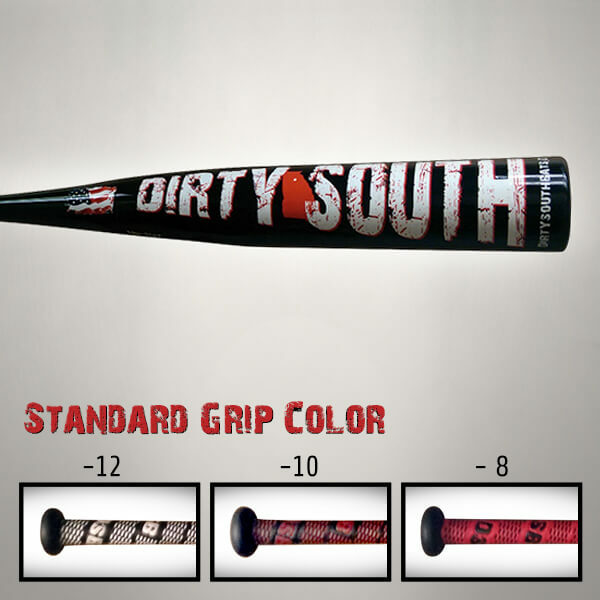 IF YOUR LOOKING FOR A GREAT BAT, OR A GREAT COMPANY TO DEAL WITH LOOK NO FURTHER DIRTY SOUTH IS THE ONLY BAT YOU NEED TO LOOK AT.